In the previous chapter, we completed all the wiring, but left IC pin 9 unconnected. In actual fact, we don’t want to connect this pin to anything, as it is only useful if we want to cascade multiple shift registers, one after the other. ERC complains that pin 9 is not connected. But we want to leave it unconnected! There is only one error. Pin 9 is left unconnected. 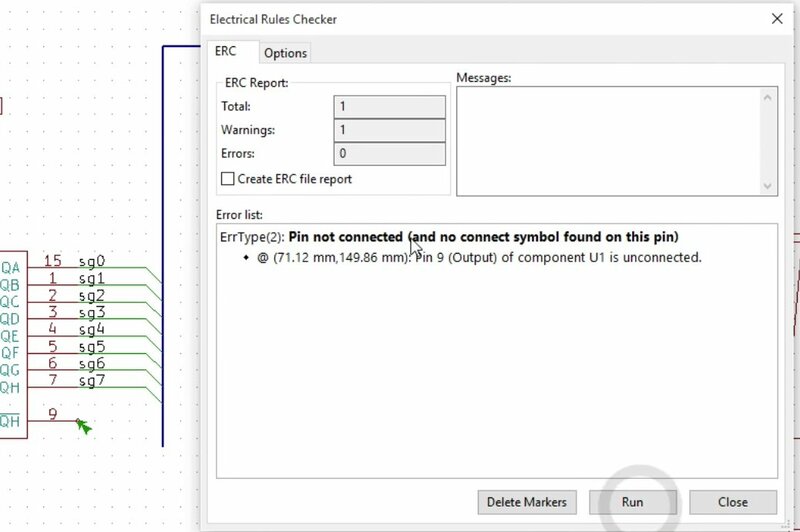 Since we actually want to leave this pin unconnected, we must tell KiCad about our intention so that it doesn’t bring it up as an error when we do an ERC. There is a special component for this, it’s the “not connected flag”. Click on the Unconnected component button to select it from the vertical tool bar, and then click on the small circle that marks the end of the IC pin 9 wire to place it there. 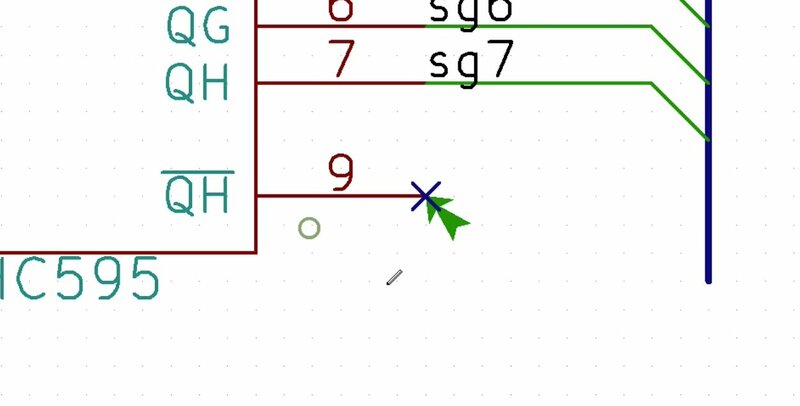 Now KiCad knows that I shouldn’t have to worry about this pin not being connected. Pin 9 is marked with the Unconnected flag. 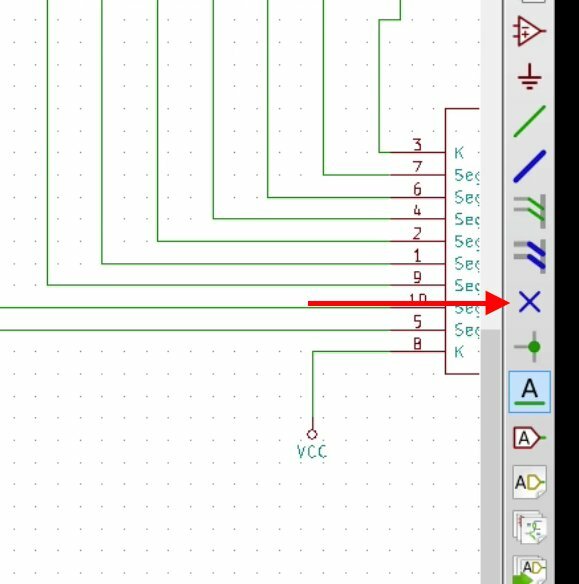 Kicad now knows that it is correct to leave it unconnected. 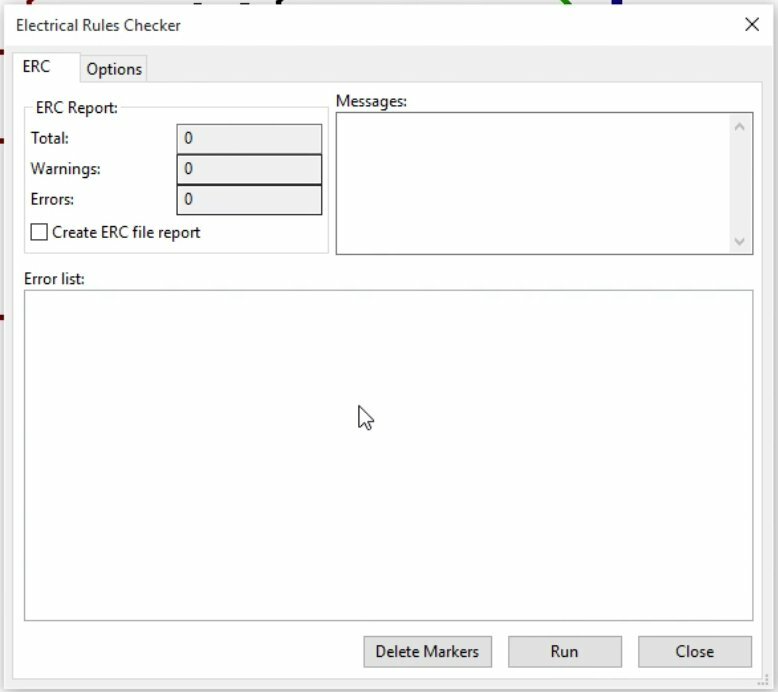 The ERC now shows no errors! No errors showing in the ERC! This means that our schematic is complete! Let’s save our project now, and move onto the next task, which is to do is to do the associations between the schematic parts and the footprints before exporting the net list file. We’ll do that in the next chapter.